This is another easy snack entry that I have made for super bowl gathering. 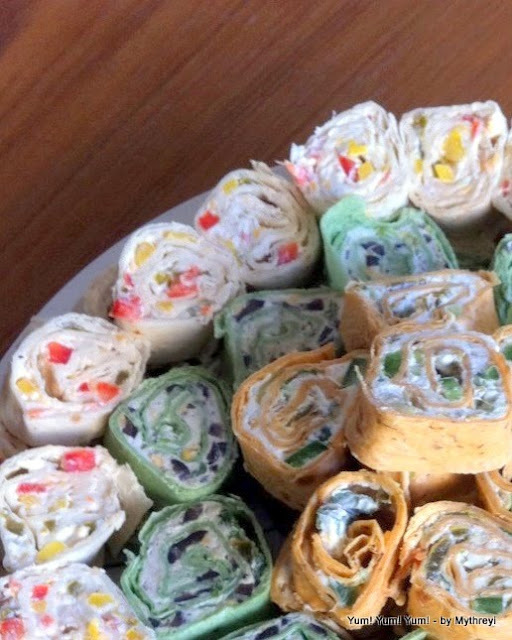 This has been adapted from basic Jalapeño Roll ups recipe, but I have used many colors with different colored vegetables. Check it out and sneak in all those veggies for your family and friends. 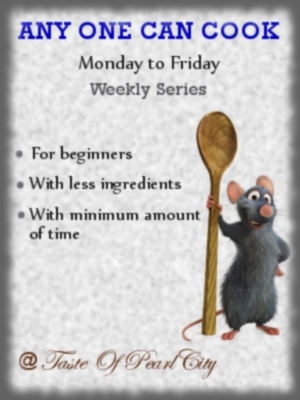 Here is the recipe for you, Enjoy! 3. Add the vegetables along with pickeld jalapeno slices ( i have used the canned ones) to cream cheese mixture. 4. Heat the tortilla for 30 sec in the microwave. 7.Now trim the edges on both sides and set aside. 8. Cover these with a wrap and chil for 2 to 3 hours in the refrigerator. 9. Before serve cut them into 1 inch rolls arrange them on a platter. Yum! Yum! Yum! Veggie Roll Ups and ready to keep on munching. Note: Did you notice we havn't cooked anything here and eating all those vegetbales raw. We can use this recipe for any tri colored theme or resemble the Indian Flag colors (for kids). I am sending this to Any One Can Cook event by Aayesha. These look delicious! Will try them with chapatis of course. Is it okay if I use your idea? Sure Archana, Give it a try. Recipes are meant to be shared and retried with different perspective. Thanks for asking. Can't wait to see your version of roll-ups. Please let me know once you did this and send me a link, I will add that to 'Beeen Here and Done This' concept on my website. Although I am not able to see the photos the recipe looks delicious. I like cheese a lot! Thanks for sharing!